At Lucid Software, we truly believe that our products will make work better for you and your colleagues. Why? Because we use them ourselves. In this multipart series, you’ll see how Lucid Software employees (known as Lucidities) use Lucidchart and how our diagramming software could help employees in various roles at your company. First up: Lucidchart’s marketing team. One major rule of search engine optimization is that each of your pages needs to link to another page on your website. Search engine crawlers need a direct link pointing to a page or else they won’t find or acknowledge that page at all. If you have dozens or even hundreds of pages on your website (Lucidchart.com has over 2,000), you can easily forget how all of these pages link together. Justin Ruiz, our SEO manager, has used Lucidchart to visualize the internal linking structure of Lucidchart.com and detect any orphaned pages. Lucidchart offers an interactive sitemap template and a sitemap shape library so you can organize your own site’s architecture. You can even use hotspots to link every diagram element to the actual webpage you’re referring to. Our video marketing manager, Caleb Hepler, uses Lucidchart as a storyboarding tool for the videos he creates. Lucidchart helps him visualize the images that match the script before he starts animating or shooting video. This process enables Caleb to solidify the direction of the video, giving him a valuable overview that guides his filming or animating process. Take a look at Caleb’s storyboard, and see how it compares to the full #PrintandWin video. If you’re using Lucidchart for a similar purpose, our new timeline shapes allow you to lay out your story second by second. Try out the timeline template in the beta editor. 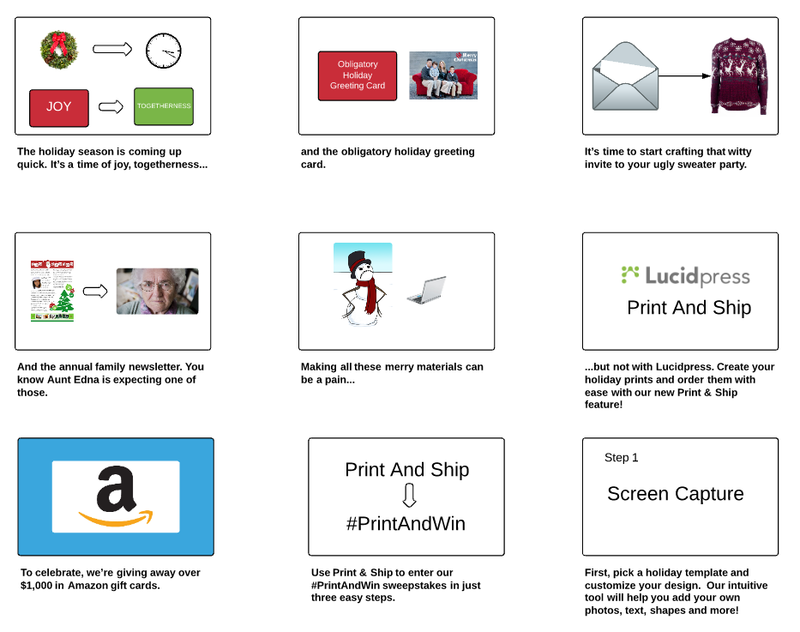 Our award-winning creative flowchart campaign demonstrates a playful way that Lucidchart subscribers could use the software. Although the creative team puts together many of the images in Adobe Illustrator, they first sketch out these funny flowcharts in Lucidchart to brainstorm and ultimately determine the different paths a reader could take. Swim lanes in Lucidchart make email campaign management a breeze since they enable you to track multiple email flows in a single document. 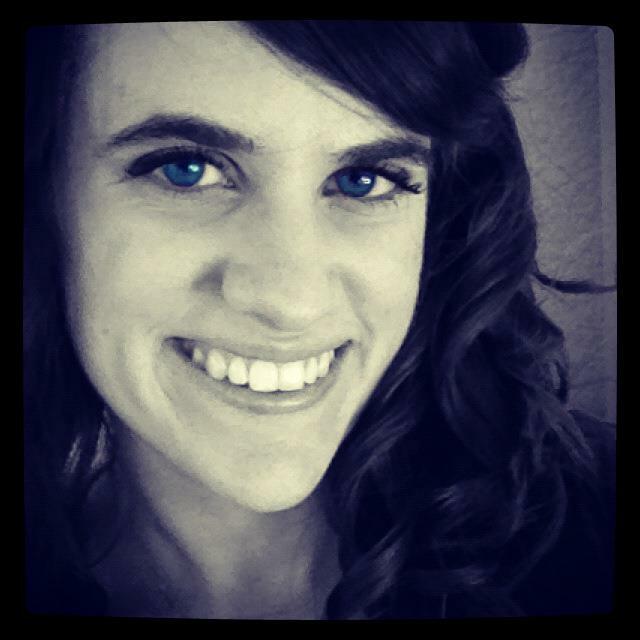 Digital Marketing Specialist Micaela Wright-Hansen also uses the hotspot feature to link to the text/design of each email in her email marketing flowchart. 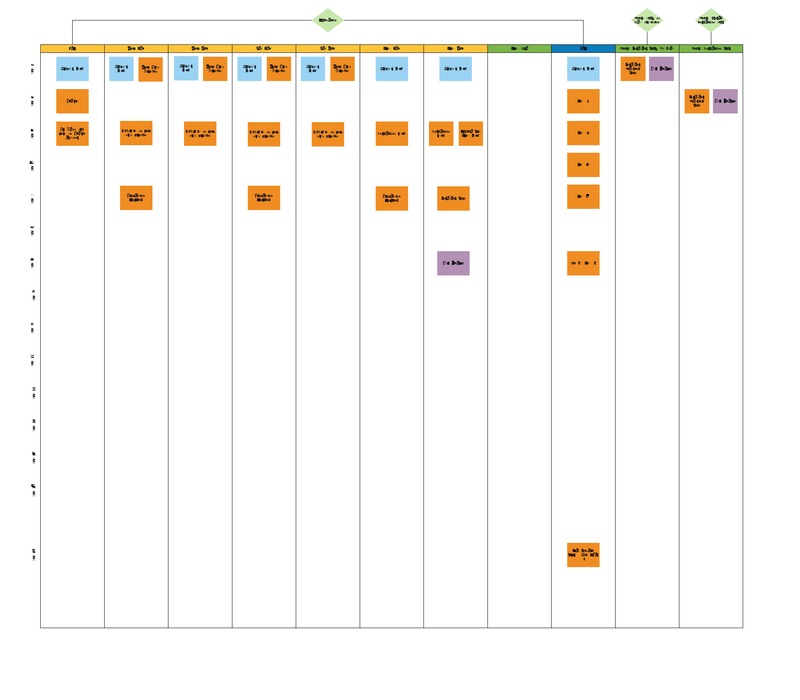 Visualize your own campaign with our email flow template. 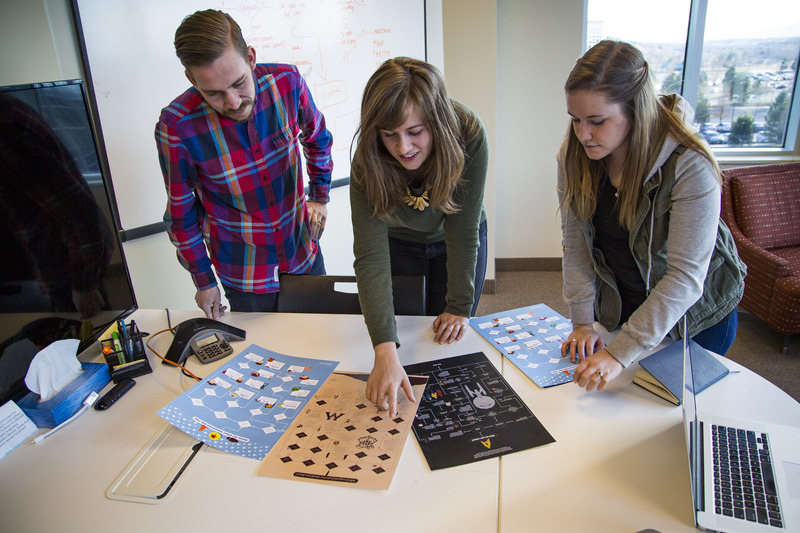 Our content team, including yours truly, also uses Lucidchart in a number of ways. For starters, when we suggest a new page for the website, sometimes it’s easier to present a mockup to key stakeholders so that we can better communicate our vision for the page. Visuals beat vague ideas. 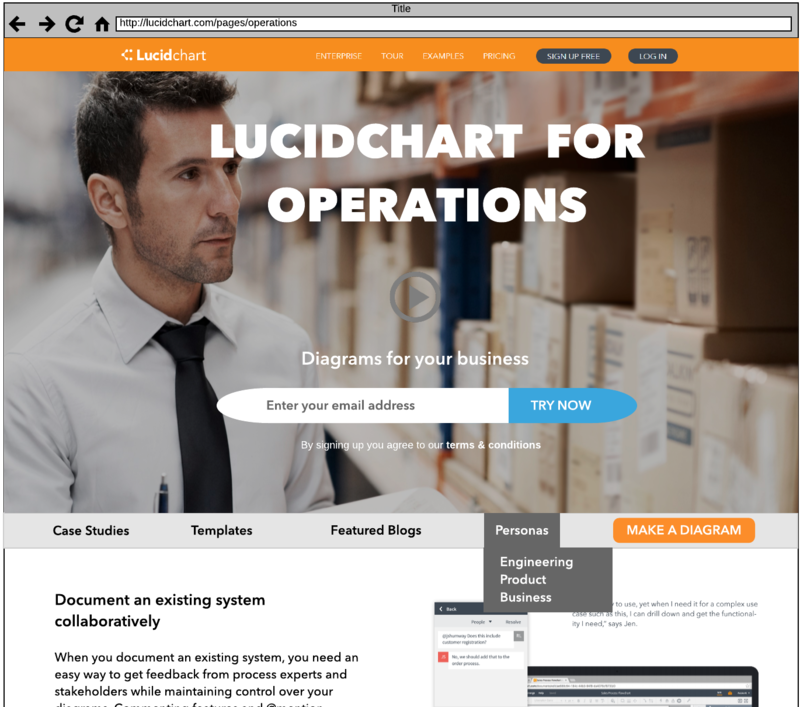 Lucidchart is a quick solution for non-designers to demonstrate their ideas visually. Emily Christensen came up with this excellent mockup using the wireframe shape libraries in Lucidchart. Our product team at Lucid Software releases new features regularly to optimize your experience—and we spend a lot of time documenting these features so the whole company understands what Lucidchart can do. In our experience, an image tends to convey information faster and more efficiently than a paragraph, so we have created concept maps to visualize product features. We use the visualizations internally as reference material, especially for our sales reps who help customers stay up to date. In the example below, you can see how our different Lucidchart products line up with Atlassian. Great content starts with brainstorming and coming up with fresh topics that your audience actually wants to know about. With mind maps in Lucidchart, we can start with one audience (engineers, in this case) and brainstorm topics around the issues they might experience and want to learn more about. 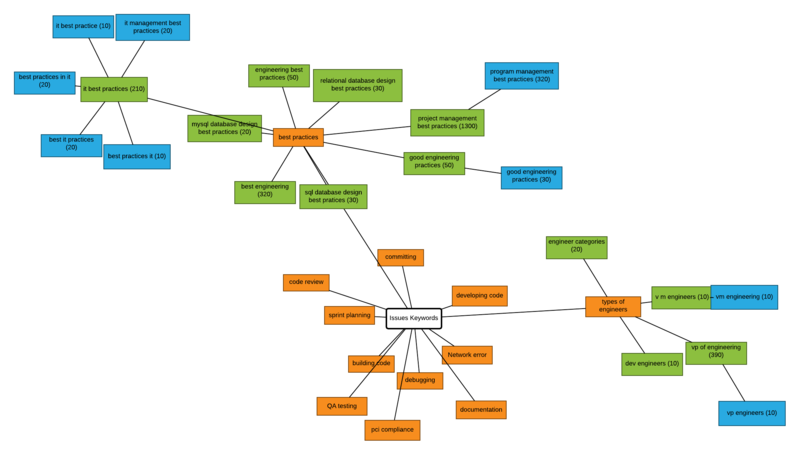 Want to try a mind map for your own project? Start with this template. All of these authors used Lucidchart to create these images and make their blog posts more engaging. It’s a win-win situation since images in blog posts also help readers (that’s you!) retain information longer. Did you think of a way one of these solutions can help your company? Click below to sign up and give Lucidchart a try. And stay tuned for more ways that Lucidchart uses Lucidchart!